Feeling the love. 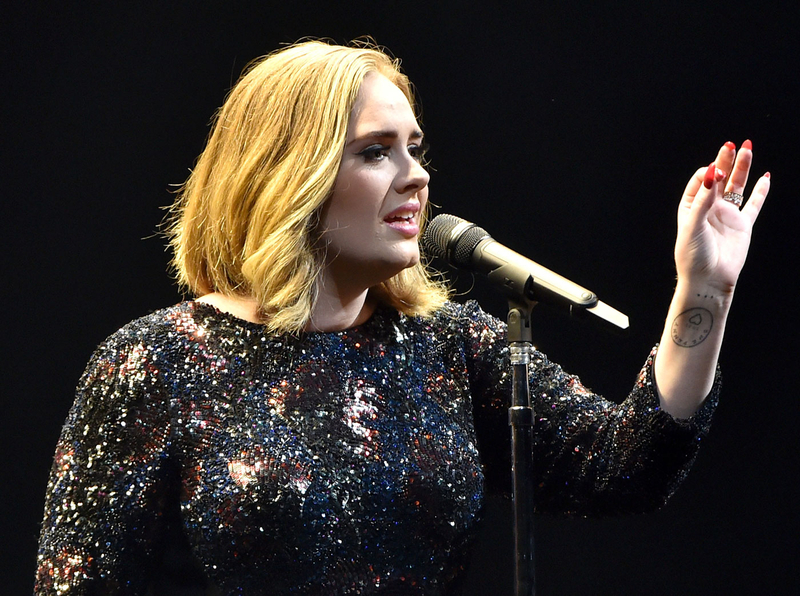 Adele made an emotional dedication to the victims of the Tuesday, March 22, terror attacks in Brussels during her London gig that evening at the O2 Arena, while her audience waved their phone lights in the air. The 27-year-old performer also blasted the perpetrators of the attacks in an expletive-filled speech, after dedicating her song "Make You Feel My Love" to those who had been injured or killed in the horrific blasts. The singer asked her entire audience to put their phone lights on and wave their hands in the air before instructing them to sing the song with her. "I don&apos;t think I&apos;ve ever actually been so moved in my life at one of my shows. That was just so beautiful," she said, at the end of the performance. "Thank you very much for doing that. I think they heard us," she said, before taking a moment to express her anger at the events earlier that day. "I&apos;m hoping you&apos;ve all come to be entertained by me," she continued. "I&apos;m here to entertain you, so we&apos;re all united, so that makes us much better than them f–kers. You&apos;re on, you f–kers," she blasted. Watch Adele&apos;s emotional performance in the video above.